A common question and complaint is: What does homework have to do with real life? Homework can teach study skills, time management, and foster the growth of responsibility—important skills for future success in all areas of life. 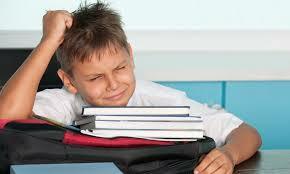 Try these tips to help navigate the choppy waters of homework and avoid tears. 1. Snacks to feed the brain. A hungry person does not think clearly. 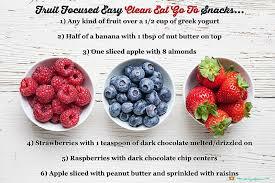 Small amounts high-protein, lower-sugar snacks like nut butter on apple slices, cheese sticks, Greek yogurt, trail mix, whole-grain toast with butter and cinnamon, and hummus on whole-grain crackers help keep the body energized, mind clear and ready to work. Don’t worry too much about the fat in cheese, yogurt, or nuts. Sugar is a much bigger culprit. Find a space in the home that is quiet and as distraction free as possible. There should be enough room to spread out homework materials. Homework cannot be completed unless all the materials are available. Keep school books, pencils, pens, crayons, rulers, paper, and any school related electronic devices in the chosen study location. Having all materials in one location helps avoid the need to wander the house and avoid homework. Many schools supply students with calendars to write assignments due for class. Check the backpack for the calendar. (Sometimes a plethora of papers lay hiding scrunched up at the bottom of the backpack.) If your child is having difficulty getting all the information from the board to the calendar, speak with the teacher. It may be possible that there is a vision, distraction, or eye-hand coordination issue. The teacher may provide a homework list, pre-printed that may be attached to the calendar. 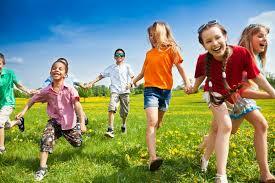 Children need to move around and if hyperactive, actually think better when moving. Staying seated for extended times is not a good idea for any child. Short breaks should be encouraged about every half hour. Getting the “wiggles” out periodically will allow for greater concentration. Frustration due to length of time to complete an assignment is a huge problem. If this happens regularly children may become anxiety ridden over homework. If frustration is rearing its ugly head, draw a horizontal line on the paper, sign it and give the length of time it took to get that far. The teacher may have assigned too much work and not realized that, or may decide that half the amount of problems to solve or questions to answer is enough. 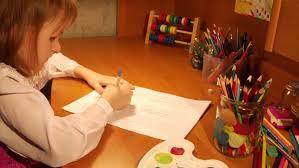 Homework takes less time if parents do it, however children need responsibility and homework is part of their job. Be supportive, the homework belongs to the kids.